Ladders are something we take for granted; everybody has been on one at some point in their life and is comfortable with how to climb them. Even the ones mounted to the sides of our workplaces are familiar enough that we don’t give a second thought about what might or might not be proper usage. I mean, let’s face it: ladders are pretty simple, right? You’ve got evenly spaced side-rails, evenly spaced rungs and all you need to do is climb up or down. Pretty simple. What sometimes gets overlooked is fall protection. When you grab the lowest rung on the side of your manufacturing plant, warehouse, or office building and look straight up, it could seem like you have a pretty difficult climb ahead of you. 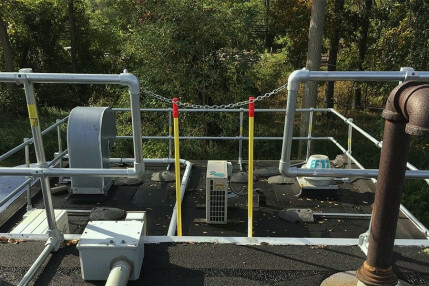 Whether that bothers you or not, doesn’t change the fact that at some point you will be 10, 20, or even 30 feet in the air which means you will need some form of fall protection. That’s where ladder cages come in. The requirement for a cage comes when you have a fixed ladder longer than 20 feet. 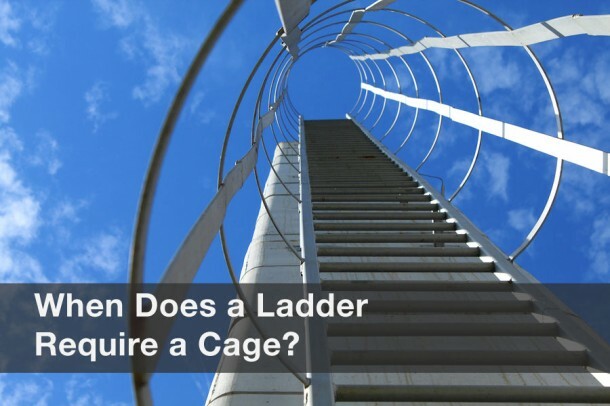 The regulations say that if a fixed ladder is taller than 20 feet, you are required to have a cage which meets all the requirements of 29 CFR 1910.27(d). Cages must extend 42 inches above the top of the landing. This is the same height that OSHA requires for guardrail. Note that this is more than the 3 feet a portable ladder needs to extend above a landing or the 3 feet-high a hand-grab has to be for a portable ladder . The regulation also points out that the cage must begin between 7 and 8 feet off the ground. This gives the necessary clearance for a person to walk into the cage to climb the ladder without hitting their head while not ending the protection at a height that would still expose the climber to a dangerous fall. Of course, as always, there is an exception to the rule. 29 CFR 1910.27(d)(5) states that ladder safety devices (i.e. – rope grabs, horizontal lifelines) may be used on ladders greater than 20 feet in length in lieu of a cage in certain circumstances. Note that the regulation specifically points out tower, water tank, and chimney ladders as the excepted circumstances. This means that tower, water tank and chimney ladders are the only locations exempted here. Your silo is exempt. Your ski lift tower is exempt. Your smokestack is exempt. Your 25 foot ladder on the side of your warehouse or office building is not exempt. 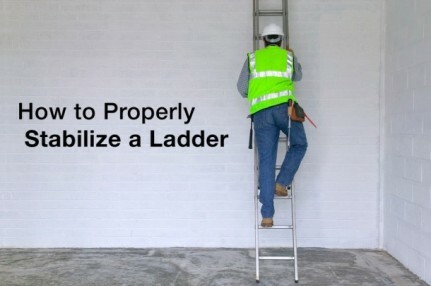 A quick look should now be able to tell you if your building’s ladders are in compliance. If they are, you can rest easy. If they’re not, begin the process of bringing them into compliance immediately, especially if maintenance or contractors frequently access your roof. 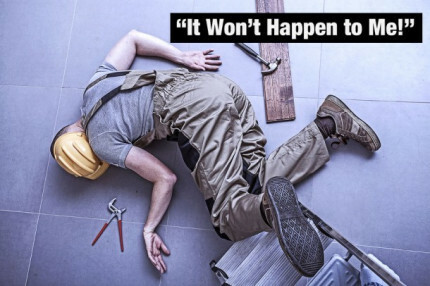 You’ll reduce your exposure to OSHA fines, lawsuits, and avoidable injuries.